It was reported on Monday that at least 70 people had been killed in the rebel-held town of Khan Sheikhoun in north-western Syria. 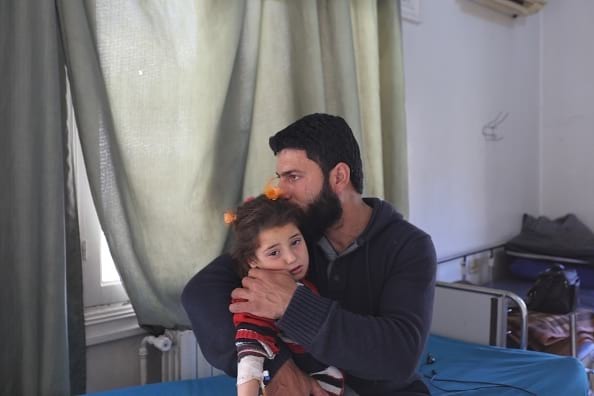 The injuries suffered by victims are thought to be consistent with the symptoms suffered when exposed to sarin gas, but, as reported by the BBC Syrian officials deny use of chemical weapons, meanwhile the divided nation’s ally Russia argued a ‘rebel depot full of chemical munitions’ was hit in an air strike. 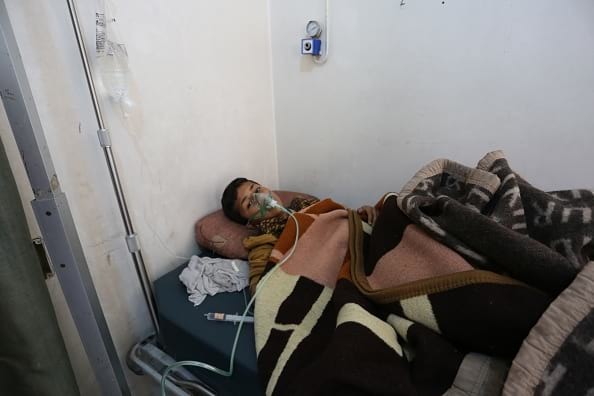 Images have circulated of the devastation caused by the suspected chemical attack, drawing further criticism of Syrian president Bashar al-Assad from the international stage, including from the U.N and the Trump administration. Intel from both America and Russia has drawn conclusions that the Syrian government lead the attack on its own people. 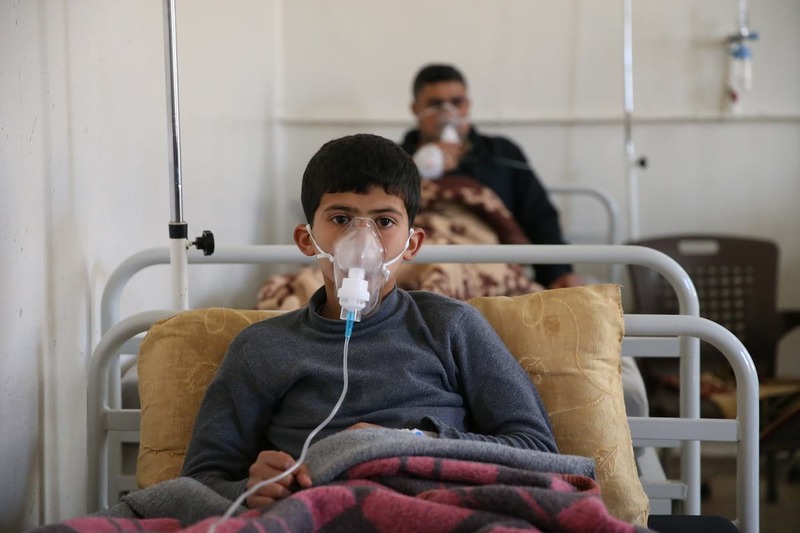 This was echoed by the The Syrian Observatory for Human Rights who claimed that a chemical attack was carried out by warplanes belonging to the Syrian military, using the chemical nerve-agent sarin. So what is sarin? For starters it’s a colourless, odourless liquid with an extreme potency as a nerve agent. It’s also considered a weapon of mass destruction. Sarin is an organophosphorus compound first discovered by German scientist Gerhard Schrader in 1937. Its intended use was as an insecticide, however, it was later developed into the deadly nerve gas due to it’s devastating impact on the body. Sarin attacks the nervous system by disrupting neurotransmitters (chemical messengers) and affecting the recurrence at which they carry out the process, and prevents them from being broken down once their job is done. Moments after being exposed to the chemical, it restricts your use of smooth muscles – the involuntary tissue that makes sure organs like the; stomach, intestines and bladder work effectively – therefore creating uncontrollable secretions. Your eyes begin to tear-up uncontrollably, you start to spew saliva, vomit, plus you lose control of your bowel and bladder. Furthermore, your vision begins to blur and your respiratory system (breathing) becomes restricted causing tight chest pains. Exposure to a lethal dose of sarin will lead the body to violently shake before becoming paralytic. 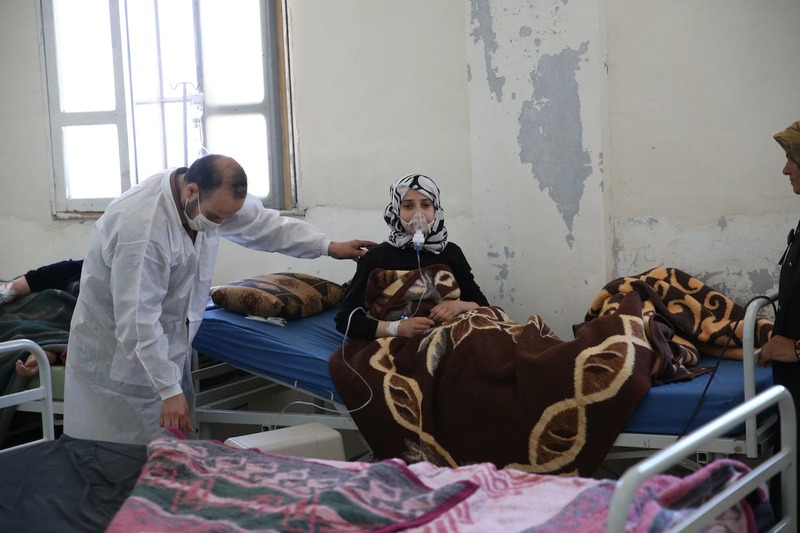 A chemical attack like the one suspected in Syria can potentially kill within 10 minutes. To put that into context that’s 10 minutes of a total body shutdown, where it’s hard to breathe, or think. All you’ll feel is intense pain and suffering. Sarin is so devastating that even the Nazis opted out of utilising it in World War II for fears of retaliation – when one of history’s most evil regime’s refuses to use a weapon you know that it’s serious. Unfortunately other regimes have used it. In 1988 the Iraq government, under the dictatorship of Saddam Hussein, killed up to 5000 Kurdish people using a combination of sarin and sulphur mustard at Halahbja. That same year, as war between Iraq and Iran drew to a close, sarin was used on four different occasions against Iranian Soldiers. 1994 saw a cult religious group called Aum Shinrykio release an impure form of sarin in Matsumoto, Nagano. The attack left eight people dead and 200 injured. This was followed by an attack on a Tokyo underground train station a year later which killed up to twelve people. In 2013, as the current Syrian civil war raged on, sarin was used in an attack in the Ghouta region. Numerous sources claimed that the death toll ranged between 322 to 1729. 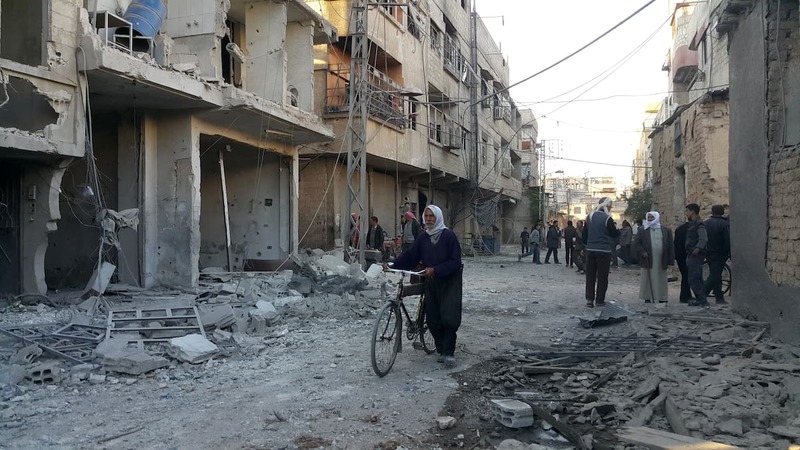 Dr Shajul Islam, who was trained in the UK, is currently providing treatment in northern Syria. He tweeted about some of the horrendous things he’s witnessed following the reported chemical attacks. Whether we believe these attacks are being carried out by the Syrian government, Russian warplanes, a combination of both or another ‘outside’ influence is past the point of relevancy right now. There are innocent men, women and children caught up in the bloody conflict going on in Syria, the UN needs to step in and save those who are innocent collateral. Then, and only then, can we start to ask: ‘Who is responsible for this?’.